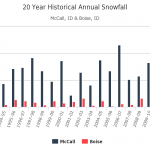 This post takes a quick look back at how the cost of energy in Idaho and the United States has steadily increased over the past decade. The data clearly illustrates that it is important to look to the future (or at least the present), when we are making decisions about the efficiency and performance of buildings. Unfortunately, most critical design and construction decisions are made based on decade(s) old assumptions and the result is “new” buildings that are typically obsolete before they are ever built. 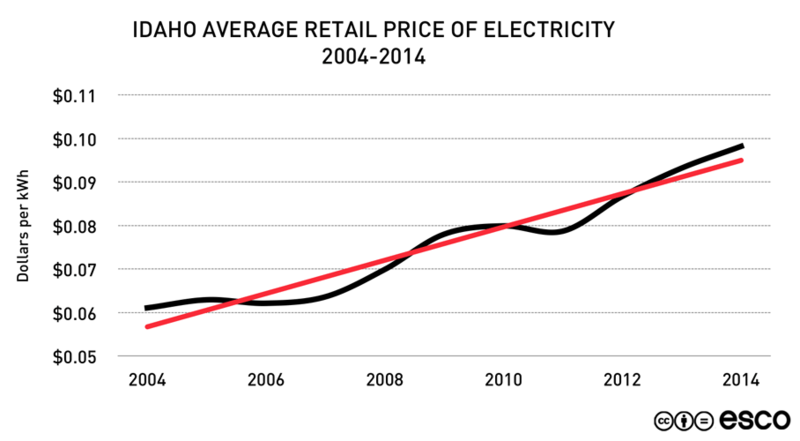 Over the previous decade (2004-14), the average retail price of electricity in the state of Idaho has increased at a 4.9% annual rate. During this time the price of one kWh (kilowatt-hour) of electricity has increased from about $0.06 to $0.10, a total increase of more than 60%1EIA 1. 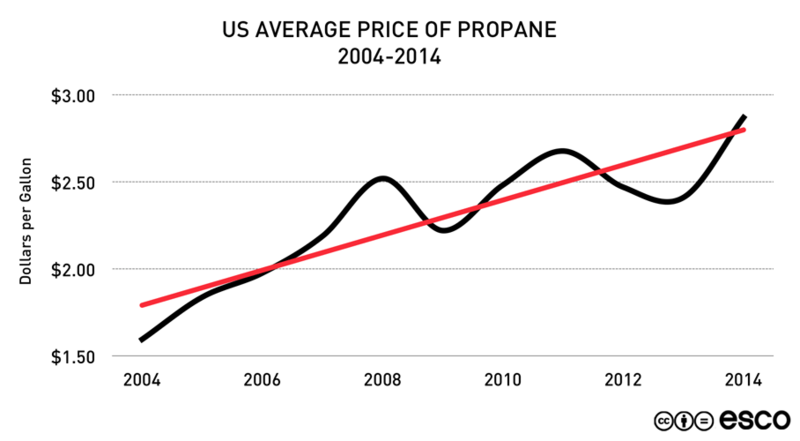 The average cost per gallon of propane in the United States has increased from $1.59 in 2004 to $2.87 in 2014, an annual increase of 6.1% and an 80% total increase 2http://www.eia.gov/dnav/pet/hist/LeafHandler.ashx?n=PET&s=M_EPLLPA_PRS_NUS_DPG&f=M” target=”_blank”>2EIA. In contrast with electricity and propane, the average cost of delivered natural gas in the United States has only increase 2% over the past decade 3EIA; however, as US fracking companies rapidly consolidate following the recent drop in fossil fuel prices4 and as US exports of natural gas continue to ramp up to match strong global demand5, the flat increase in natural gas pricing is unlikely to hold.